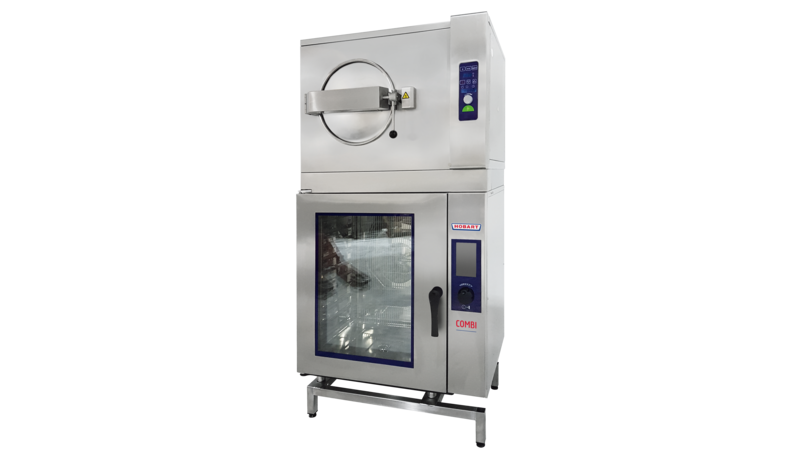 Electrically heated combi steamer with a capacity of 6 x 1/1 GN in combination with pressure steam cooker 205 GTP. Electrically heated combi steamer with a capacity of 10 x 1/1 GN in combination with pressure steam cooker 205 GTP. Electrically heated combi steamer with a capacity of 6 x 1/1 GN in combination with pressure steam cooker 305 GTP. Electrically heated COMBI steamer with a capacity of 10 x 1/1 GN in combination with pressure steam cooker 305 GTP.